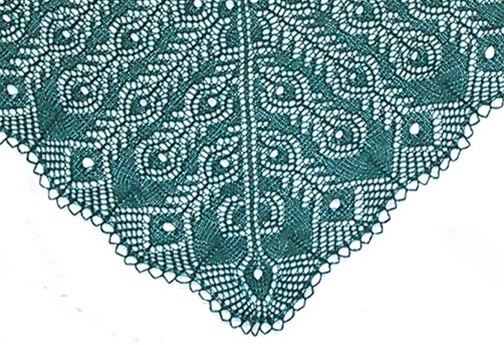 The Peacock Feathers Shawl is a stylized version of a peacock's tail in full display, from the small feathers at the top of the peacock's back, down to the dramatic sweep of the tail. 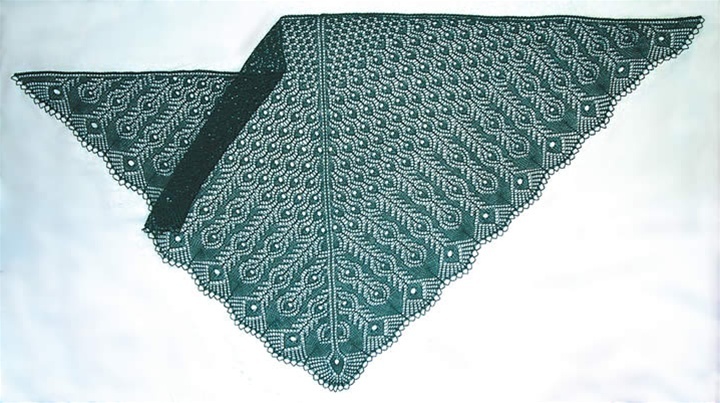 The shawl is worked by casting on three stitches, then increasing to create the triangular shape. 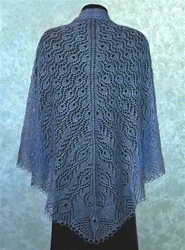 This pattern features instructions with large easy to use charts. Recommended for Advanced Intermediate knitters. Finished size is about 88" along top edge, and 43" from middle of top to lower point. Uses 1260 yards of laceweight yarn.